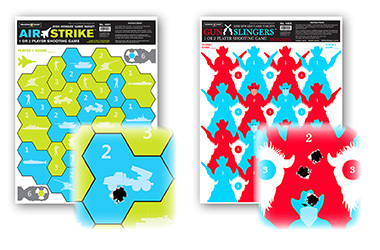 Introducing Thompson Target's new line of risk/reward shooting game targets! We carefully developed these shooting games with the unique element of interlaced player zones. This provides risk/reward scoring by awarding higher point values for more risky or difficult shots. No need to keep track of each player's shots! 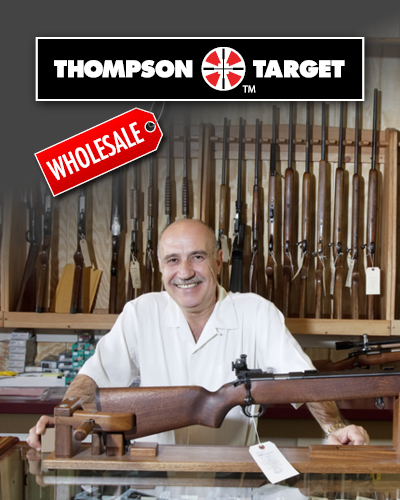 Thompson's shooting game targets are designed to eliminate the need to keep track of each player's shots, but still reward accuracy. Every shot on the target scores points either for you or your opponent! As with any well designed shooting game target, accuracy is key. Score points by hitting your opponent’s zones, but give points to your opponent by hitting your own!